We are frequent visitors to Disneyland Paris but our last visit was the first time we have been with a baby. Pickle was 2 years old the first time we took him but Smidge was only 3 months so it was a bit of a different experience than our previous trips. Taking a baby anywhere usually means you have to take a shed load of things but there were definitely some things that made our trip easier when it came to Smidge. 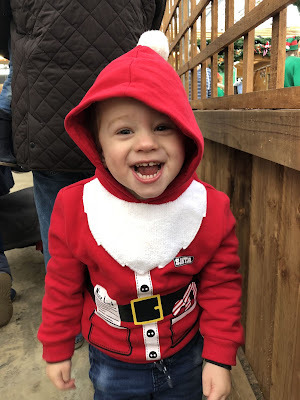 So many people have got in contact with me since our trip asking me how we dealt with taking a baby to Disney so I thought I’d share my top tips with you so hopefully you can have a holiday as magical as ours was. Taking a decent baby carrier to Disneyland Paris is a MUST if you have a non walker. Smidge was able to go on a few rides but you have to leave the pram outside when you queue. Whilst we queued we would pop Smidge into the carrier which then meant he would either have a look around or (more often than not) he’d fall asleep. Sometimes the queues can be quite long so make sure you take a decent carrier that you are comfortable wearing. We have the Baby Bjorn Mini Carrier (which we reviewed here) and it was perfect. 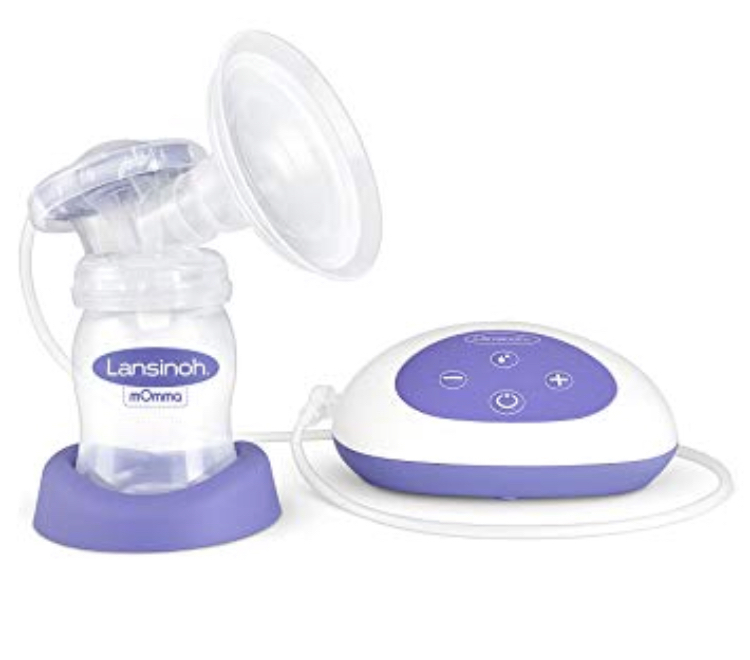 It is super soft but yet give support for you and baby. The carrier also came in handy when Pickle was really tired as we could pop Smidge in the carrier and then let Pickle lay in the pram for a bit. This little steriliser ball was a God send during our trip and a must have for anyone whose baby has a dummy. We would take 2 dummies with us every day but because Smidge was in and out of the pram and carrier he kept dropping his dummies. 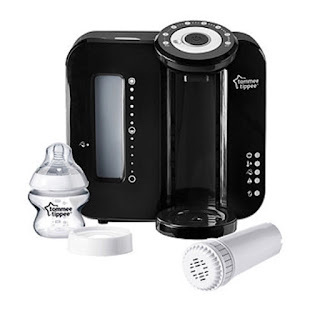 With the mini steriliser all you do is pop the dummy in, twist it around to clean off anything and then leave it for 15 minutes. Then you have a completely sterile dummy ready to use. It is amazing and I would really recommend buying one if you’re thinking of going away. We had so much stuff that we needed to take our everyday that a decent changing bag was a essential. The weather in September in Paris can be all over the place so not only did I have to take the normal nappies, wipes and spare clothes, I also packed waterproof ponchos, sun cream, hats... it was a bit silly really but we needed it all! We used our Storksak bag for carrying everything and it was perfect. 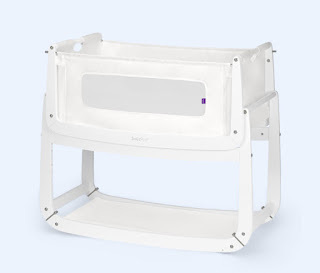 It has space for bottles, separate compartments for different things and a super handy changing mat with spaces for wipes and nappies. The best thing about this bag is that not only does it come with straps to hang the bag off of a pram, it can also be worn as a cross body bag or as a rucksack thanks to the adjustable straps. It’s the perfect Disney bag! Unfortunately it has been known for people to have buggies and prams stolen in Disneyland Paris. When you go onto a ride you have to leave your pram in the buggy park meaning (in theory) that anyone could walk off with it. I haven’t seen this happen or experienced it but I have seen a lot about it online. Because of this we brought an inexpensive bike lock and used that the chain the pram to the railings to avoid the chance of anyone pinching our pram. Some may think it’s a bit much but we would have been well and truly up the creek if someone stole our pram whilst we were away so I would rather not take the chance. This one is soooooo important! If you wanted to buy wipes in Disneyland Paris it would set you back €8.99 and even worse, nappies in Disneyland would set you back an eyewatering €24.99!!!! I don’t know about you but I would feel a little sick paying those prices for something I can get from the UK for under £3 generally. So make sure you pack enough wipes and nappies. We took a brand new 50 pack of nappies and 6 packets of wipes. Now remember that the wipes were not only being used for bum changes but also for cleaning a sticky child, we used 4 packets of wipes and over half the packet of nappies. It doesn’t matter if you bring some home and it will save you A LOT of money as you won’t have to buy any whilst you’re there. So there you have it. My essentials for doing Disney with a baby. I hope it’s helped and if you are going with a baby of any age have a magical time! I can quite honestly say I have NEVER said or felt any of the above when I’ve held a friend or family members baby. To me, all babies just look like little potatoes and I don’t understand how they make people broody. 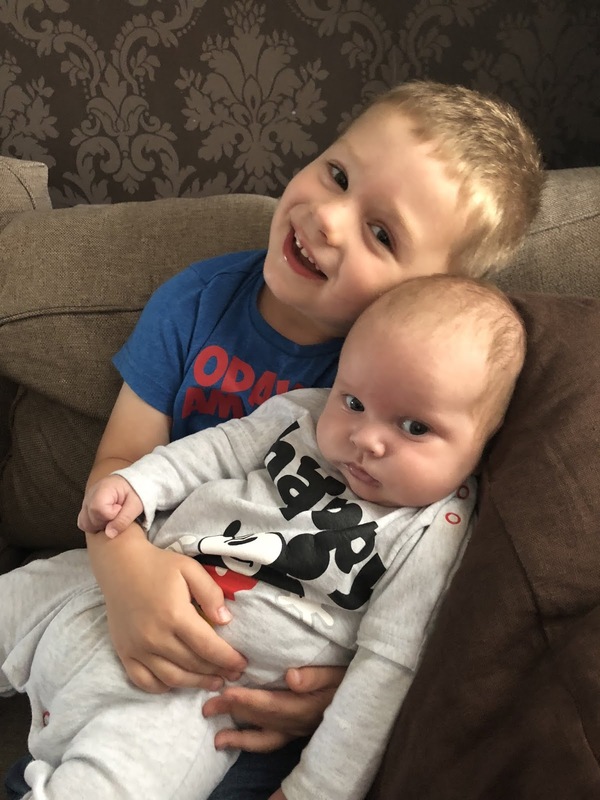 Don’t get me wrong, when I snuggle my two and I remember them as babies I think they were the cutest, most wonder and amazing things in the world but seeing them grow up and come out of the newborn phase doesn’t make me long for another one. 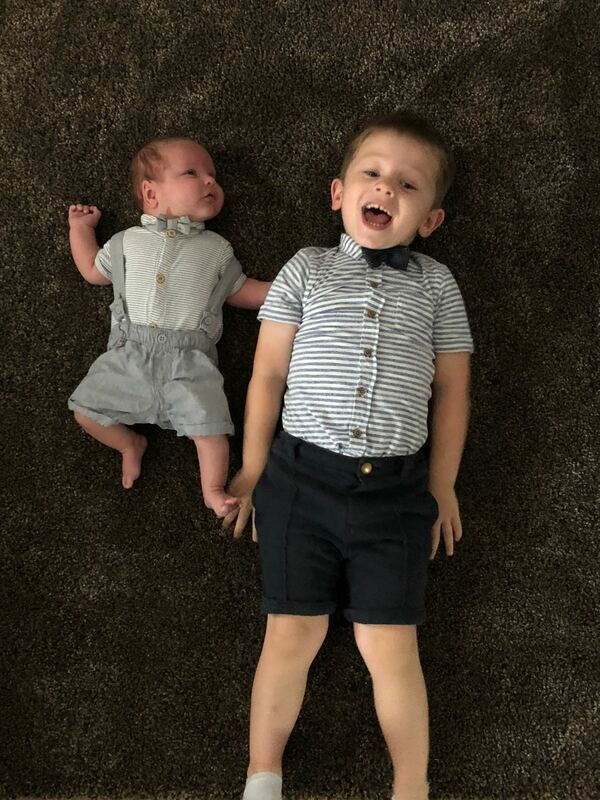 I miss them being small and being a baby but it doesn’t make me want another baby and I don’t feel like there is some hole that I need to fill with babies. I know that so many women who say that have this urge to have more babies but I have just never have. It even took a long time for Hubby and I to feel we were ready to try for Smidge. When Pickle was born, I became a mother and I felt complete. That was all I ever wanted and for a few years we really thought that we were done with having children. One was enough for us and we were happy but as Pickle got older we felt like it was unfair for him to grow up as an only child. 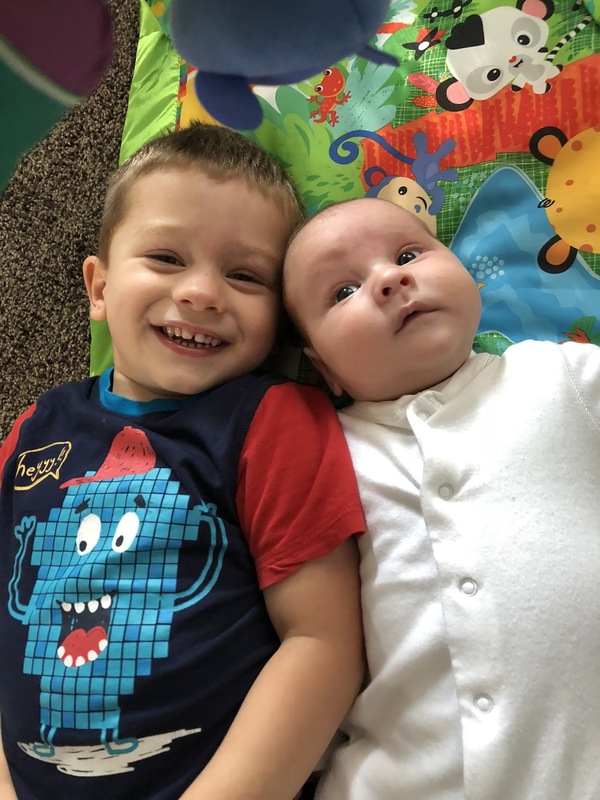 I wasn’t broody or desperate for another baby. I just wanted Pickle to have a family and a sibling like Hubby and I did growing up. This isn’t to say that Smidge wasn’t wanted because he was wanted very much and he was loved more than I can ever explain from the moment we saw that line on the test BUT I still wouldn’t say I was broody. Surely it can’t just be me that feel like this? I’m not some kind of awful person for not feeling broody when I see other babies am I? Am I a bad person for thinking that all babies just look like potatoes? Let me know in the comments. Tuesday night was terrfiying... the type of terrifying that only a parent will feel when they are overcome with fear for their child. It was 3am and Smidge woke up coughing like crazy. It was a familiar sounding cough the made my heart beat a little faster. It was a seal like type bark that I’d heard from Pickle 3 years ago. Then came the noise that really made me panic... the wheezing every time he tried to breath in. He was gasping for breath and it wasn’t stopping. It was this noise that had landed us in hospital with Pickle 3 years ago and it was this noise that made me reach for my phone to call for help. It seemed like our good old friend Croupe was back to pay us a visit. 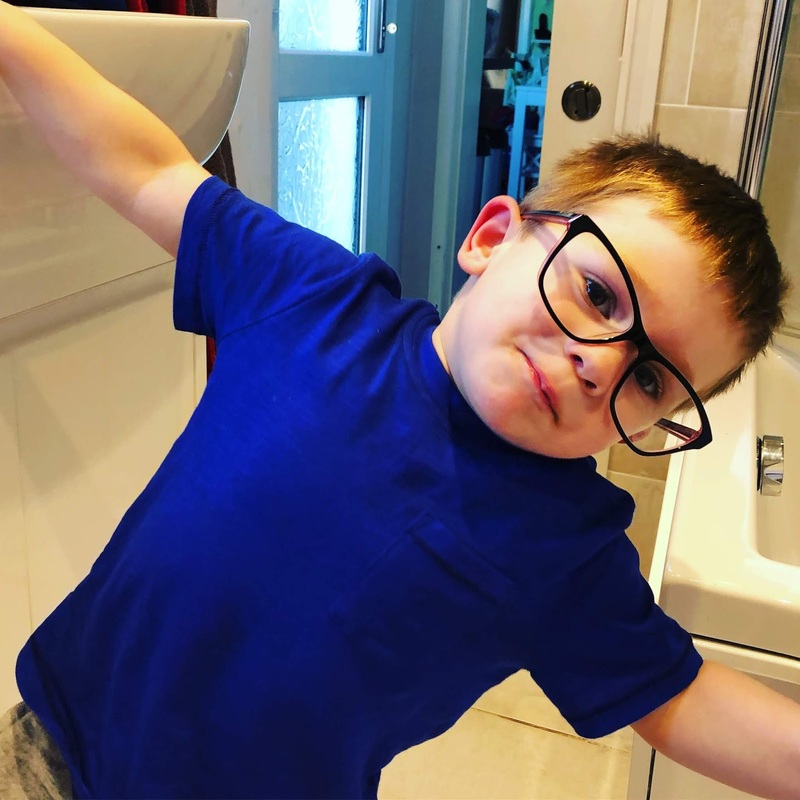 Croupe is a virus so it can’t be treated with antibiotics and it can be caught by anyone, at any time but it tends to effect children under 2 the most and it tends to rear its ugly head in the autumn months. It’s basically a virus that affects the vocal chords and voice box causing a horrendous, scary sounding bark like cough. In some cases it also causes a stridor. This is when the wind pipe gets so swollen around the voice box that every time the baby or toddler breathes in they make a awful wheezing sound and they struggle to breath. It can be so dangerous as sometimes the stridor can be so bad that it completely stops them from breathing. Croupe can be accompanied with temperatures and lack of appetite etc but sometimes you only know about it when the cough hits. This very distinctive cough tends to make itself known in the night time when baby has been laying on their back. This is exactly what happened with Smidge that night. The fact that he couldn’t catch his breath was the most terrifying thing. When it was happening all I could think about was if I remembered my baby first aid training and if I would be able to help him if he stopped breathing. That is a thought that no mother ever wants...trust me. That was why I called 999 rather than 111. 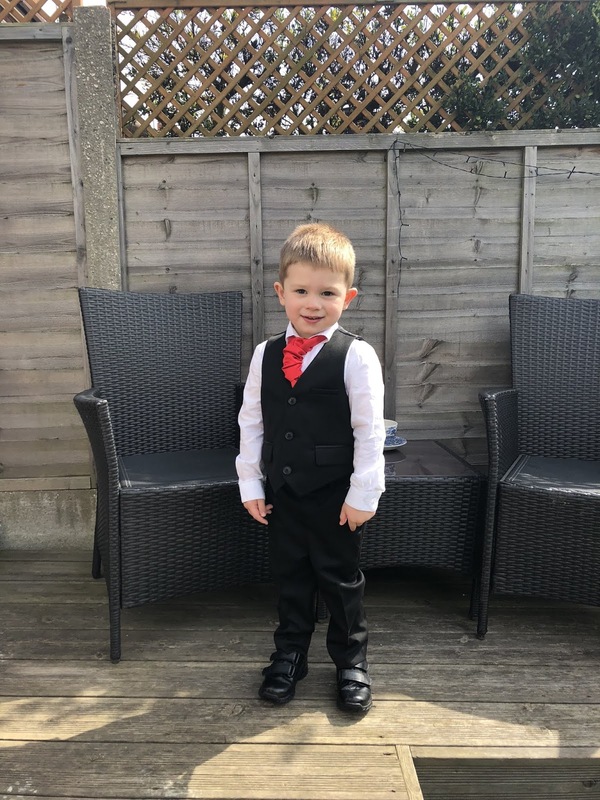 I needed people here straight away that could help him if he stopped breathing and the way that he was going I was scared that that was a serious possibility. Thankfully the paramedics were here within minutes and were so amazing! In fact, all of the staff were that we saw on Tuesday night/Wednesday morning were just fantastic. People knock the NHS (and we may have spent 5 hours in a corridor rather than a room or ward with a bed) but the staff are just phenomenal. By 7am it was like the dramas of the previous night hadn’t even happened. Smidge was given steroids to help open his wind pipe and make breathing easier for him and that did the trick. He was fine again. BUT I am so glad I listened to my gut and rang the ambulance as unfortunately croupe isn’t new to us and I know how serious it can get. So if it could just bugger off away from my kids for a while that would be great as I don’t want to relive that night again!! Puppy Dog Pals is the brand new show that is over on Disney Junior with the catchiest theme tune ever...if you've seen the program then you will know. The show follows two little pugs called Bingo and Rolly and their lives with their owner Bob. It is a very sweet show where the pups have to go on 'missions' to resolve what ever is it issue of the episode. Pickle LOVES it and it has quickly become a firm favorite in our home. Due to the success of the show, a new range of toys have just been released. 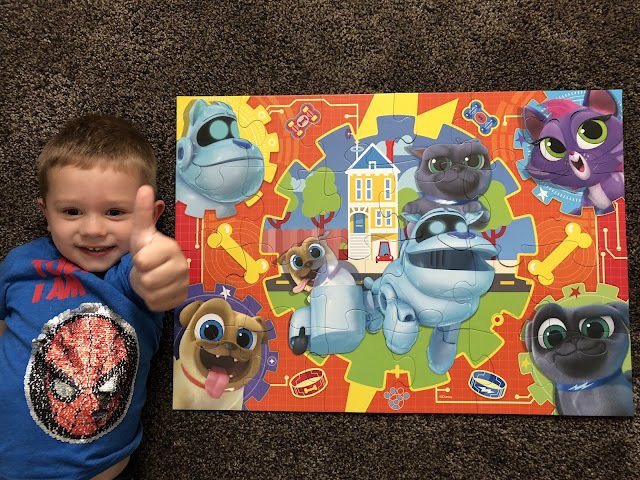 We were lucky enough to be sent the Puppy Dog Pals Giant Floor Puzzle and here is what we thought of it. Today you turned 4 years old. It’s a birthday that you’ve been so excited about as to you, 4 means you're a big boy that gets to go to pre school. You’ve been asking to be 4 for so long now and you have been so excited about your birthday and your party. I have smiled and nodded and tried to share your excitement but inside I am so sad that my baby is growing up so quickly. It feels like only yesterday that you were born. That moment when you were placed onto my chest was life changing. You had made me a mother and I fell totally and uncompromisingly in love with you. I still remember the moment of sheer panic when you didn’t start crying and the pure fear I felt when doctors started rushing to the room to help you. Those few days in hospital were hell and I would have done anything to stop them from poking and prodding you. But you finally got to come home and we started our life together. In your first 3 years of life I saw you evolve from a tiny baby to a wonderful toddler. Those three years were filled with so many wonderful moments but I feel that this last year has been one that has defined you. Just after you turned three, Daddy and I turned your little world upside down and I won’t lie, I was very nervous as to how things would pan out. We were going to have a baby and you were going to be a big brother. During my pregnancy you were just amazing. You were so caring and protective of me. You loved to feel the baby moving around in my belly and you would tell anyone that would listen that you were going to have a baby. You made pregnancy so easy for me so thank you for that. There was one time in those 9 months when I was being sick. I was hunched over the toilet and you came into me and rubbed my back whilst saying “it’s okay mummy, I’ll get you a drink”. You came back a couple of moments later with your water cup and gave it to me. This is you all over. You are so caring and want to help anyone that you can. You may only been 3 (now 4) years old but you are wise and caring beyond your years. 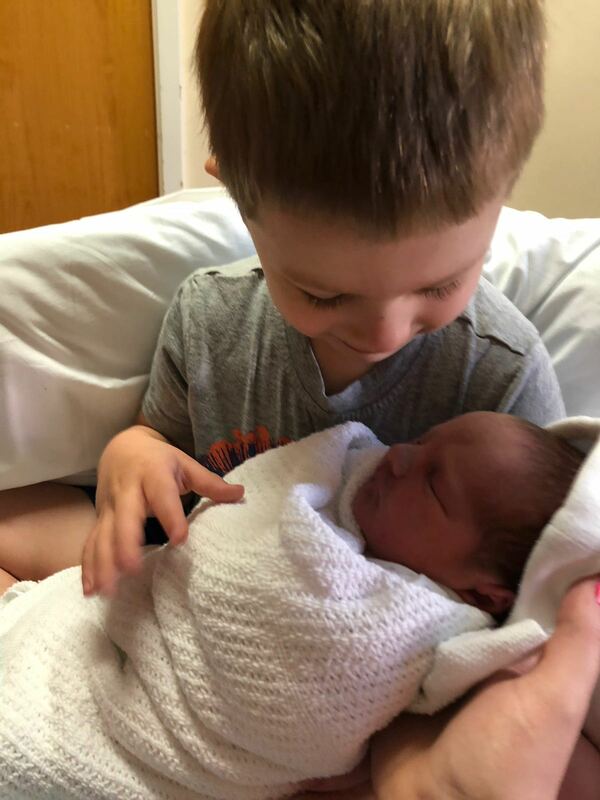 Finally after 9 long months your baby brother arrived and I have never know someone to be as excited as you were. You were staying at your Nanny’s whilst we were at the hospital and Daddy called you once Smidge was here. You shouted out at the top of your voice “my baby’s here... my baby’s here!!!”. That night you woke up at 3am and shouted to your nanny. She worried that something was wrong with you and came running. Nothing was wrong... all you wanted to do was to ask “can I go see my baby yet?”. 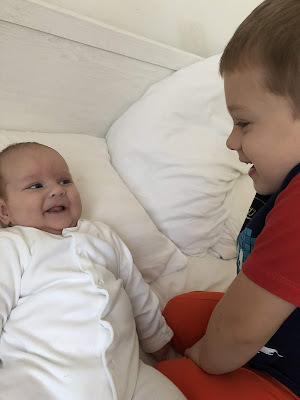 You hadn’t even met your sibling but you were already the best big brother. As soon as you met Smidge you fell in love with him. It was like some invisible bond was made in that moment that will never be broken. You care for your brother so much. You help look after him, you sing to him, you play with him and even though he can’t tell you right now I know that you are his favorite person. You are so protective, gentle and caring towards your baby, as you call him, and if it’s possible, seeing you become a big brother has made me love you even more. 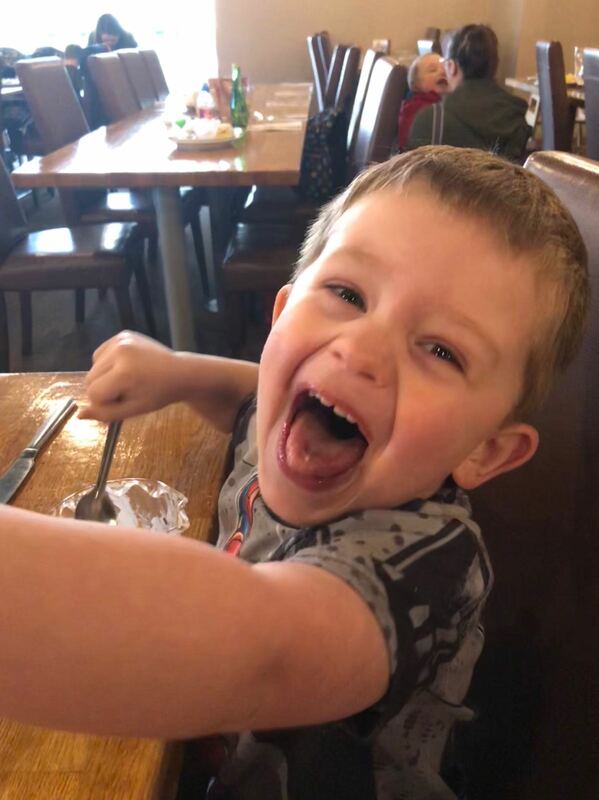 I am so proud of you my little Pickle and I am eternally grateful that I get to be your Mummy. You may be growing up at an alarmingly fast rate but you will always be my little Pickle. Wishing you the happiest of birthdays and here’s to another year filled with happiness, love and laughter. The person who wrote this is right. The mummy and parenting blogger world is saturated right now. 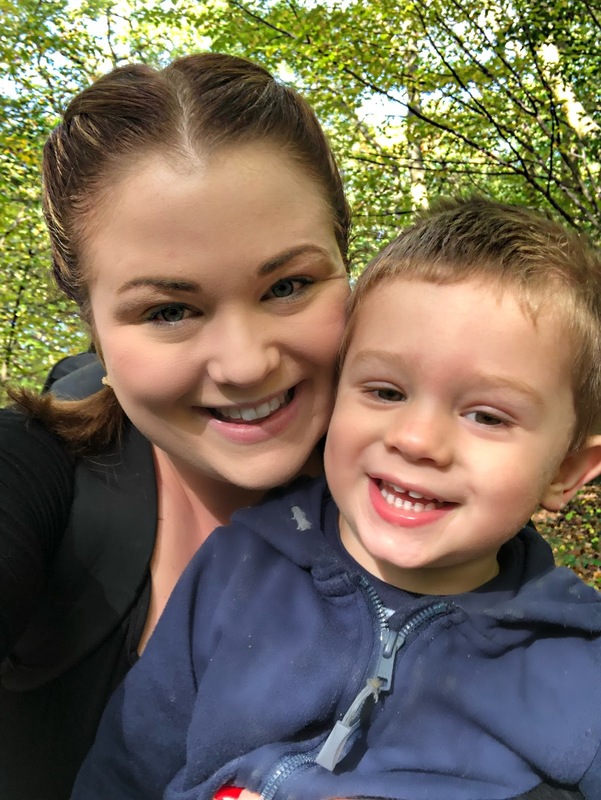 I probably receive around 3 messages or emails a week from mums who have started blogs asking for help and advice on how to make it “successful”. Blogger groups on Facebook are heaving with parent bloggers. Opportunities for reviews and events are harder to come by now as the spec becomes more specific as PRs receive thousands of emails a day. But the person who left me this comment is saying that everyone is a mummy blogger like it is a bad thing...in fact, I think it is the total opposite. 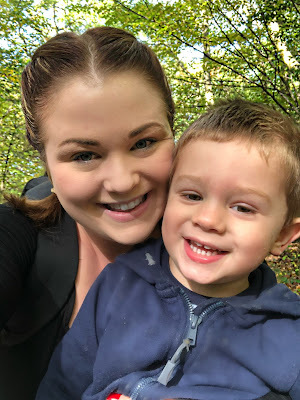 I started blogging when Pickle was 5 months old and when I look back at that time in my life I can see just how lonely I was. I only had a couple of mummy friends and felt like I'd been thrown into this new world of motherhood unprepared and pretty alone. Blogging opened up a whole new social world for me and just by writing all of my thoughts and feeling on my blog, I instantly felt less alone. Blogging let me talk about all of the things I didn't feel i could talk about in real life because either it was too embarrassing or because I just didn't have anyone to talk to about it. 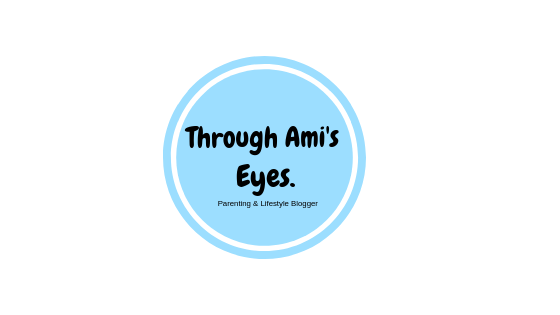 Blogging gave me a lifeline and I am so glad I started. So my thought is so what if everyone is a Mummy Blogger?? I say, the more the merrier. I believe that if you start blogging for the right reasons then it can be a huge help for anyone. It connects you with like minded people, shows you that you are never alone and is a wonderfully way to record and keep moments in your life. And if it's done right, it can bring some pretty amazing opportunities too. Don't get me wrong, when people start blogs just so that they can get 'free' stuff then nine times out of ten it doesn't work and they get bored by the time they realise that stuff doesn't just come for free. People who write from the heart and start a blog because they want to share and record their lives are the ones that will succeed and love their blogs. So if you have ever thought about starting a blog then what are you waiting for?? DO IT!!! Go to blogger or wordpress, follow the simple steps and start writing...what have you got to loose?? Little Tikes is a brand that is known for it's timeless, classic and reliable toys. When I think of Little Tikes I think of their Crazy Coupe, the car transporter and their rocking horses BUT as with every good brand they have to evolve and change as time goes on. Little Tikes have done just that with their brand new STEM range and it is fantastic. Recently, Little Tikes introduced their new STEM range. The new range is made up of products which aid your child's development in the world we now live in. 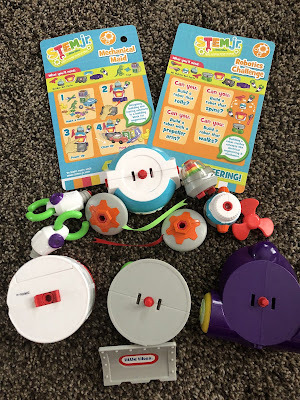 They have taken educational principles from the core subjects of science, technology, engineering and math to offer hours of endless educational fun to our little scientists. The STEM range has something for everyone from their jaw dropping Wonder Lab (click the link to check it out...it is unreal!) through to their Builder Bot which we were sent recently to try. 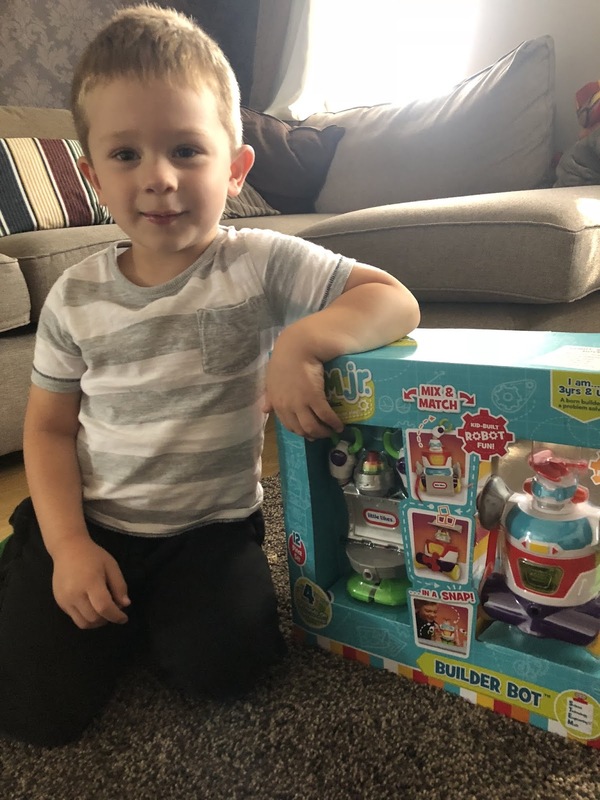 The Builder Bot toy is a robot that comes with different parts so that you little one can build all different combinations of robot with moving parts and sound. It is fantastic for Pickles age (4 years old) as it was challenging enough to keep him entertained but not so hard that he needed my help. 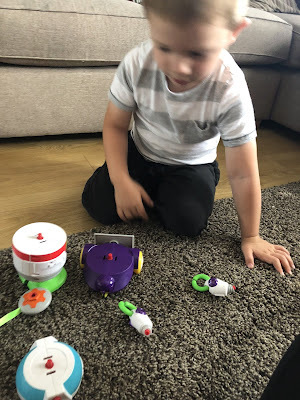 Not only was he playing with the building of the robot, he was changing the parts to allow him to do different things For example, he wanted to see if the robot could step over a little lip on the floor so he changed the bottom from wheels to the feet. He built a wall of bricks and then added a scoop type thing to the front of the robot which knocked all of the bricks down. The possibilities are endless! 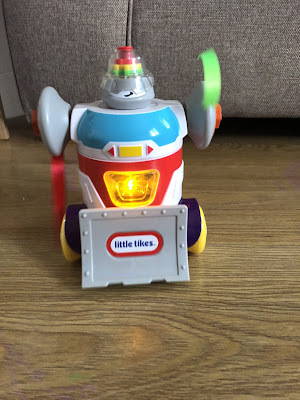 He played with the robot for almost 2 hours when we opened it the other day and for a 4 year old with a small attention span, that is a huge achievement and shows how great this toy is. 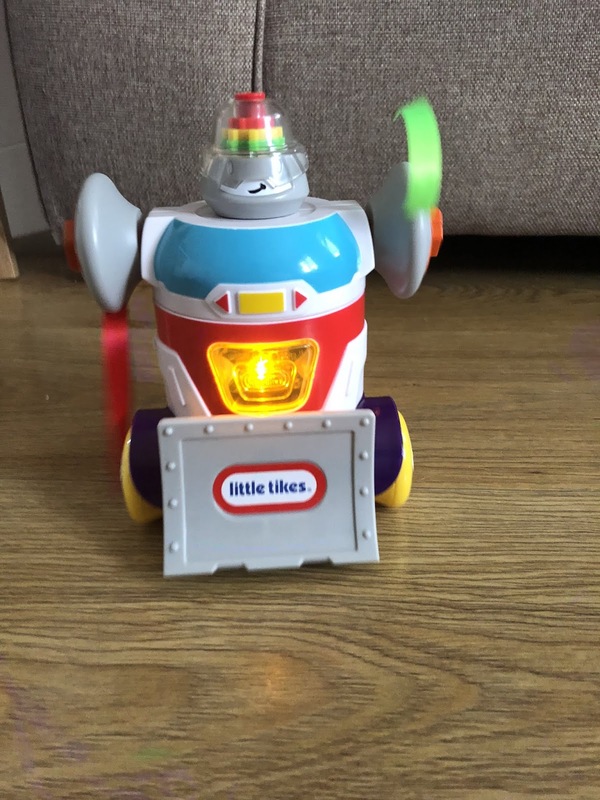 The Builder Bot is £24.99 and available from Littletikes.co.uk and other good toy retailers. Recently I was contacted by JD Williams and they asked if I fancied reviewing a couple of their items. Initially I was a little bit wary. JD Williams was somewhere that old people shopped wasn't it? Wasn't it only for Nan's who wanted comfortable shoes and cotton trousers? The JD Williams website is full to the brim of fashionable and affordable items and I found so many items that I loved! I wanted to get an outfit that would be perfect for when Hubby and I go out for dinner to celebrate our anniversary in a couple of weeks time and I managed to find the perfect pieces. 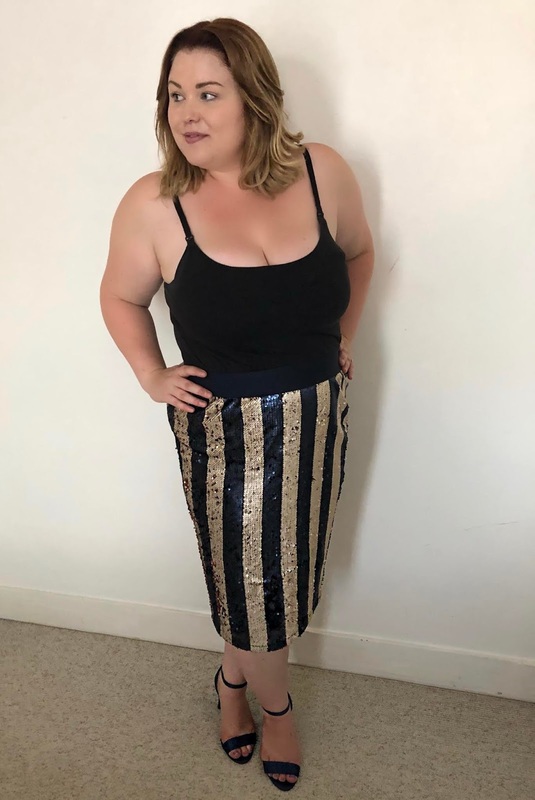 The first thing that I found that I totally fell in love with was this amazing Striped Sequined Pencil Skirt. This was the item that I decided I needed to build my whole look around as I just had to have it! 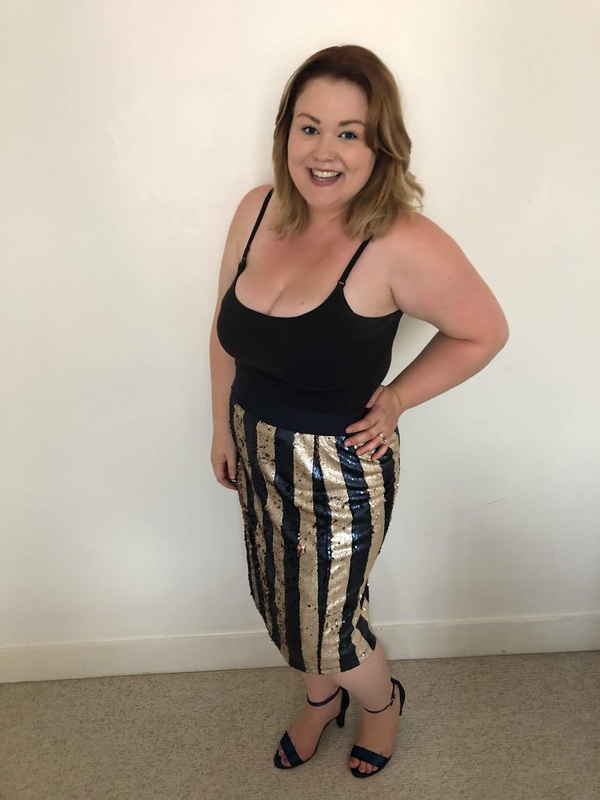 The sequins are so me as I love anything that is sparkly and the fact that it was a navy blue colour was a refreshing change from the black that I usually lean towards. This skirt is so comfortable and has a stretchy waist band which is perfect for my post baby mummy tummy! To go with the skirt of sequined dreams I found these beautiful Flexi Sole Blue Sandles. These shoes are honestly the most comfortable heels I have ever owned. Even though they are strappy, they are nice and wide and the heel is very sturdy meaning that I don't worry that I am going to trip over or need to walk on my tip toes. The soles of these shoes are sturdy yet flexible and they have a built in innersole for extra comfort. They are seriously the most comfortable shoes and I am not just saying that because they have been sent to me...I am being completely honest! I love these shoes! To complete the date night look I teamed the skirt with a very simple and plain black top. I felt like I needed something very simple because the skirt is such a statement piece and I am so happy with the overall look. There were so many items that I could have picked from the JD Williams website and I would really recommend checking them out no matter what the occasion is you are shopping for. Make sure you visit them here. Note: these items were sent to me but all opinions are honest and my own.